Having a balcony at home, especially if we live in a big city, is a huge luxury. Yet there are so many people who have a balcony, but don't know how to utilise it. Most balcony spaces are completely wasted and used as a dumping ground for storage items or washing machines… or they are left completely empty! So today at homify, we are going to inspire you through this ideabook! 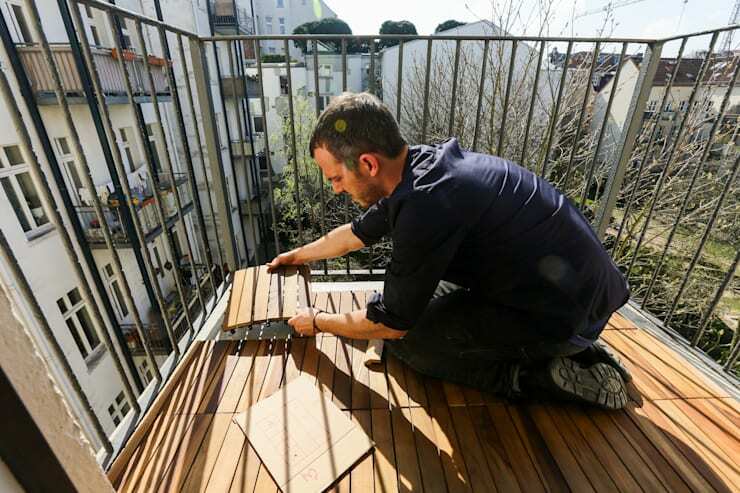 We will see a complete transformation of a balcony that was only two square metres in size, thanks to design professionals Die Balkongestalter. This went from a space that was completely under-utilised to the favourite spot for the residents! 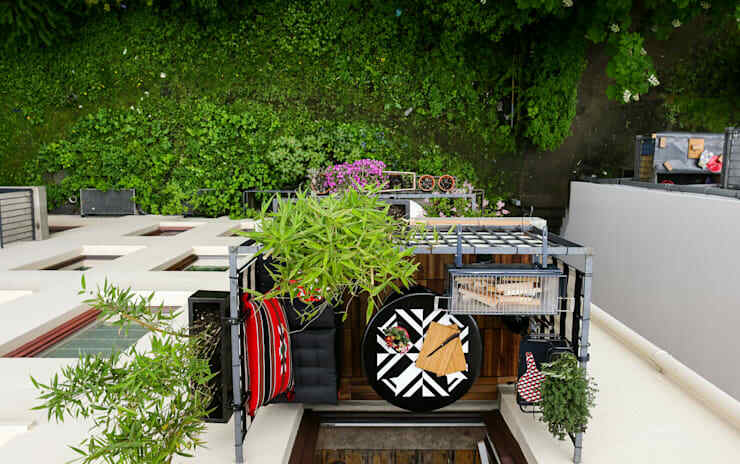 The owner of this small balcony wanted a green oasis where they could enjoy a morning cup of coffee or a glass of wine after work, relaxing above the hustle and bustle of city life. This could also be a space where meals could be enjoyed outside. Let's see what has been done in this small space of just a few square metres. The grey concrete floor on the mini-balcony was very uninviting and unwelcoming. Therefore, the team of experts were hired by the owner to replace the flooring with gorgeous wooden tiles. These are easy to install and can also be removed if necessary. The new wooden floor conveys naturalness and warmth. 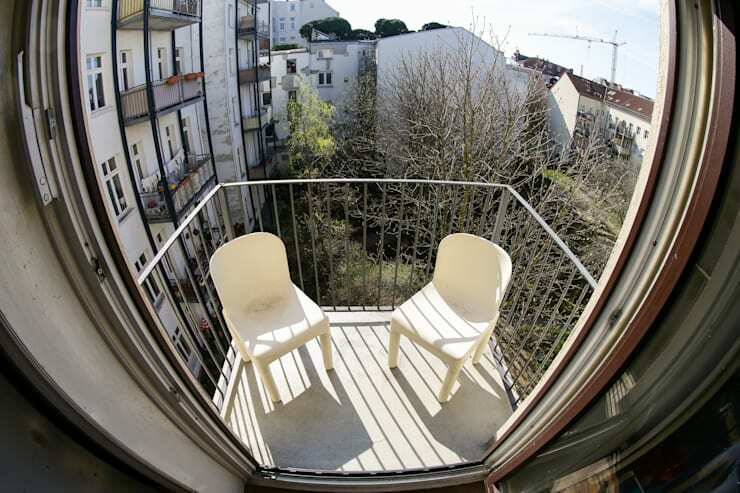 It is also robust and weatherproof, giving the balcony a completely new cosy feel. And now we see the end result. The transformation is unbelievable right? The design introduces neutral colours like white and black, which have become the centre of attention in the form of this gorgeous balcony furniture. Out of sight in the image, we find awnings and window boxes that feature tall bamboo plants on the left side. A special feature is the balcony grill, hanging like a pot on the railing. This provides the perfect little braai spot where meal can be prepared! Have a look at these 7 options for the perfect braai. 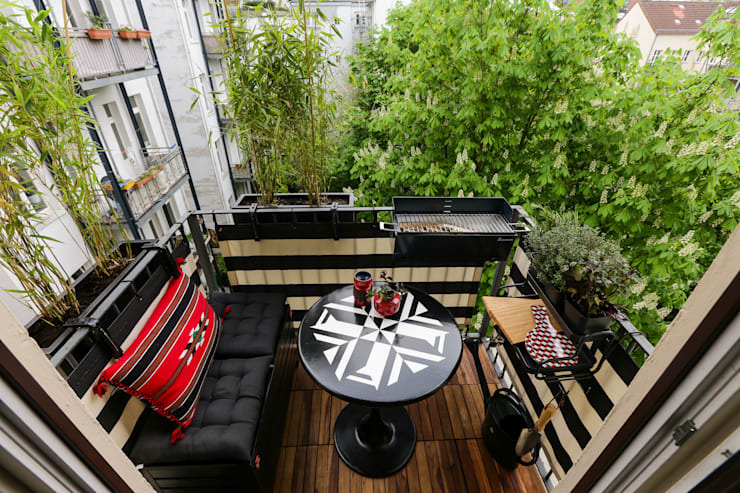 Thanks to the experts, this little balcony was achieved with very little space. Now it's a comfortable spot that can be enjoyed by two people. The table was also originally a boring white plastic, but now all sorts of colours and shapes are introduced, which play a fundamental role in the decor of this little corner. Modern and magnificent! In designing a small balcony, it's important to pay attention to every detail in order to make the most of every centimetre. Here we can see a little tray, which features beautiful plants at the top and extra space for storage on the bottom. Here you can store cutting boards, knives and other items. It's the perfect space for food preparation. Everything has been thought out to the last detail! 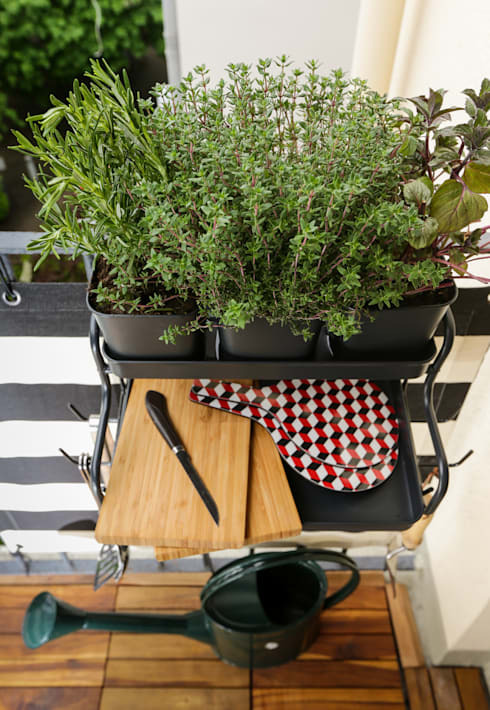 If you like this ideabook, you'll love these: Decoration ideas for boring balconies. Did you find this transformation inspiring?